An e-galley was provided by the publisher via NetGalley in exchange for review consideration. Summary: Gilmore Girls meets Fresh Off the Boat in this witty novel about navigating life in private school while remaining true to yourself. Why didn't I finish? : That "___ meets _____" blurb in the synopsis totally sounded like my thing. Unfortunately, Lucy and Linh didn't deliver like I hoped it would. The writing style and narration were hard to connect to and I felt so distanced from Lucy. Also nothing really interesting was happening. I also felt like, for 35% in, I didn't know any of the characters as well as I thought I should. 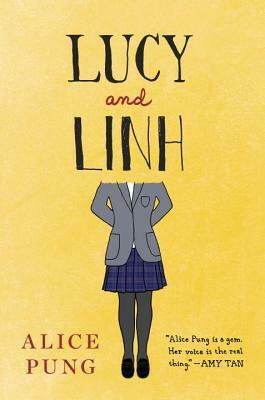 The author name-dropped a lot of girls that I had trouble keeping straight, and Lucy acted like readers should know them as intimately as she did. So I didn't want to spend any more time on a book I wasn't enjoying. The Verdict: Idk, maybe y'all might like this book. It just wasn't my type of contemporary YA.